Pass money along to a spouse or loved one. Remember, when we die, our income is gone forever. Life insurance helps replace that income. Leave a free and clear home to your family. Provide college funding for children. Pay off debts like car loans and credit cards. Donate money to charity or a church. Provide an ongoing monthly income to family members. Pay for final expenses and funeral bills. Remember, Life insurance policies have specific purposes in their design. And no one company has the best policy in all catagories. 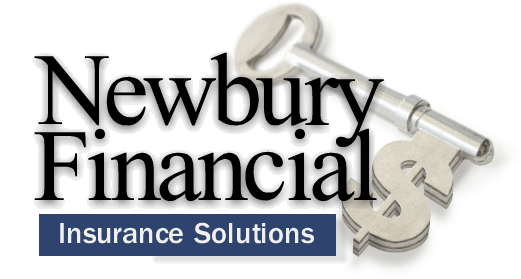 We at Newbury Financial have the ability to quote life insurance from hundreds of the top insurance companies. Our experience and guidance will help you find the correct coverage at the lowest possible cost. Term Life Insurance- The most affordable way to protect your family against the loss of losing your income if they lose you. 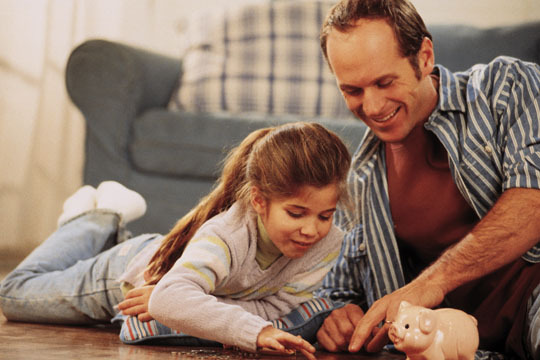 Cover your family from $100,000 up to $1,000,000 or more with low level premiums for 10, 20, 30 or even 40 years. Whole-Life Insurance- Whole life Insurance is permanent insurance that is guaranteed to last for your entire life. This additional cost not only provides a guaranteed death benefit but also builds up cash values that can be borrowed and used during your lifetime. Final Expense Insurance- This is a form of whole-life insurance that is usually a smaller policy (usually between $5,000 to $25,000) and has relaxed underwriting or guaranteed issue. It's usually used to help with funeral and cemetery expenses or other end of life bills. These policies can be paid monthly or with a single premium. Some have a level death benefit and others have an increasing benefit. There are many choices and prices can vary by as much as 50%. Call me for a free needs analysis and guidance to the best plan. Young Family or Mortgage Insurance Plans- These are a form of Term Life Insurance that offers quicker underwriting and usually additional policy options. Riders such as Disability Income, Return of Premium, Children's Coverage, Accidental Dealth Coverage and more or available at extra cost on these policies. Sometimes these policies are the way to go but often a traditional term policy would give you more coverage for your premium dollar. Our needs analysis will help you decide. Wealth Transfer Planning- Do you have money set aside in a CD or bank account with the intention of leaving it to a favorite charity or a child or grandchild? You should look at certain typles of life insurance as an estate planning tool which can increase the size of your gift as well as offer tax advantages and to avoid probate. I can work with your estate attorney and tax advisor to maximize your plan. Always placing the best interests of my clients above my own direct or indirect interests. Maintaining the highest standards of professional competence and giving the best possible advice to clients by seeking to maintain and improve professional knowledge, skills and competence. Hold in the strictest confidence and consider as privileged, all business and personal information pertaining to my clients' affairs. Making full and adequate disclosure of all facts necessary to enable my clients to make informed decisions. Maintaining personal conduct which will reflect favorably on the insurance and financial services profession and the Million Dollar Round Table. Determining that any replacement of an insurance or financial product must be beneficial for the client. Abiding by and conform to all provisions of the laws and regulations in the jurisdictions in which I do business.